It's been a while since I've made a blog post. What have I been up to? Well, besides doing a few local markets and hanging around with friends I've been doing a few projects. Since moving back to Laredo I've picked up gardening. Last year I grew some basil, kalanchoe, tomatoes and jalapeno plants that didn't produce but did survive the winter and were able to produce this spring! This year I've successful grown some sunflowers, marigolds, dark opal purple basil, elephant ears, chile piquin, carrots, and currently waiting for some cucumbers to come in. This has pretty much taken up most of my time. It's been helping me with my anxiety and I get the satisfaction of knowing that I'm growing things and able to eat them without thinking about all the chemicals that go into my body. Granted I'm not 100% eating healthy, but a small change can make a difference. I've also been working on a few video projects lately. 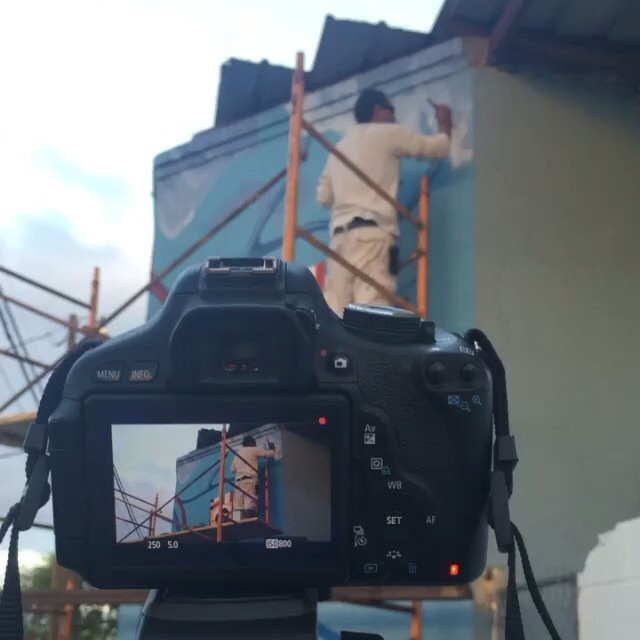 Currently I've been recording my friend Tony Briones while he's been working on his mural on the corner of Santa Maria and Constantinople. It's looking pretty good so far. I'm hoping I'll be able to make an interesting timelapse of it. Lastly, I've been working on some bookbinding again. Mostly because I was getting ready to sell some at a local handmade market but I'm thinking of making more and adding them to my Etsy shop. I've finally been able to improve my coptic stitch and get it down by memory. I don't know ehy I always have such trouble with it. Anyways, there's a bit of an update about my life. If you want to see more of what I've been doing, follow me over on instagram!